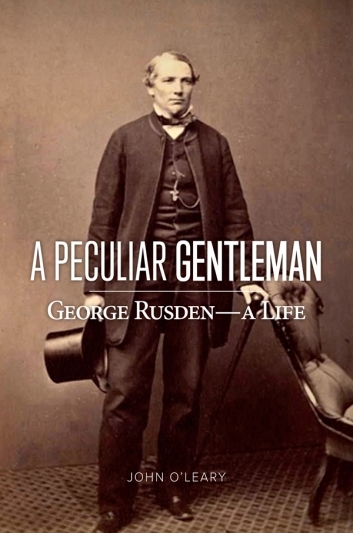 The biography of George Rusden, a former Melbourne civil servant and polemical historian, sued by John Bryce, over a claim Bryce had taken part in a massacre of Maori women and children in Taranaki some years earlier. One hundred and thirty years ago an important libel case was heard in the High Court of Justice in London. George Rusden, a former Melbourne civil servant and polemical historian, was being sued by John Bryce, a former Minister of Native Affairs in New Zealand. Rusden had claimed in his History of New Zealand that Bryce had taken part in a massacre of Maori women and children in Taranaki some years earlier. Feelings ran high on both sides, but this was more than just a personal quarrel. Rather, it was the culmination of a bitter, 50-year-long battle between those who deplored what colonization had done to Indigenous peoples and those who considered that it had been a blessing to settlers and natives alike. Who was Rusden? What was his social and intellectual background? And how had he got himself involved in such a dangerous law-suit? John O’Leary’s sparkling biography answers these and other questions, tracing the life of this peculiar, paradoxical man, one whose controversial histories of Australia and New Zealand anticipated modern revisionist accounts by almost a century.